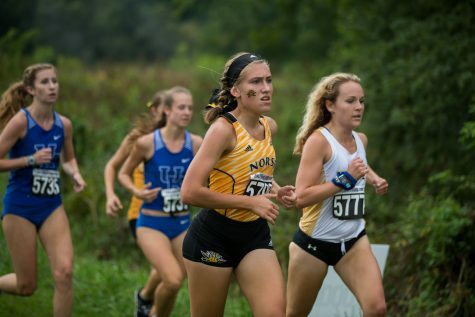 Cross Country head coach Steve Kruse is now in his 21st season at Northern Kentucky University. Coach Kruse is not only entering his third decade on campus, but he has never coached at any other school in his entire career. 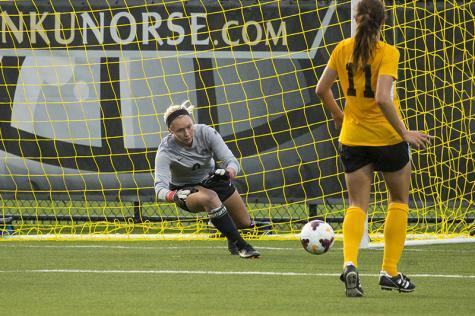 What makes Kruse so committed to NKU after all of these years? Coach Kruse ran for the Cross Country team from 1979-80 and enjoyed his time as a student athlete. Unfortunately, a budget cut washed the 81’ season from ever taking place. Kruse heard that the Cross Country coaching job had an opening and became interested. He got in contact with the athletic director, former coach, and got the job in 1993. Having never coached before, Kruse had a lot of hurdles to jump over and said that it was happenstance that he found out about the position. Kruse took a very small program and gradually turned it into what it is today. Over the years Kruse has seen a lot of great athletes come and go through his program. “I pretty much know everybody who has laced up a shoe for cross country here at the university.” Kruse said. Kruse has seen a lot over the last 20 years and has a set program in place for his runners that are proven to work. “He’s probably the most comfortable guy I have ever worked under,” Assistant Coach Paul Longano said. 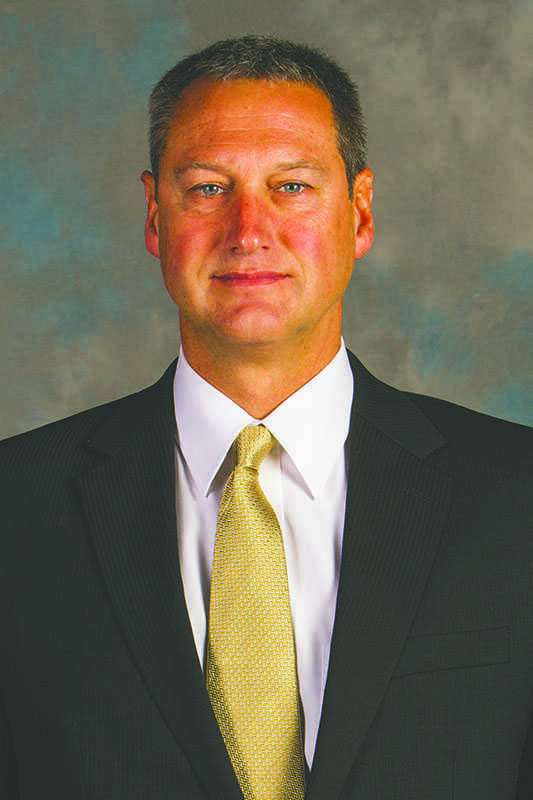 Longano, who is in his fourth season coaching at NKU, met Kruse back in 1998 when the two worked together as Hamilton County probation officers. “On my lunch break I would walk down to his office and we would talk running,” Longano said. Kruse and Longano were joined together as NKU coaches just as the program was making the merge to Division I. Longano brought his Division I experience as head coach of Xavier with him to get NKU ready. Longano said that he would compare his time so far as an NKU coach to a family-like atmosphere. Longano attributes part of his friendship with Kruse to how friendly the head coach is. 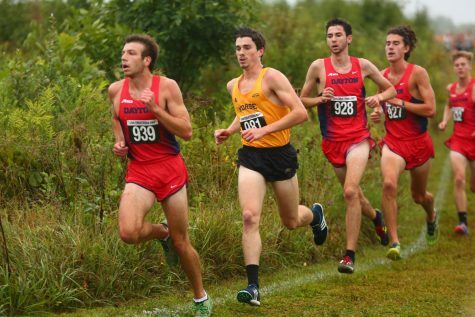 Zac Holtkamp is one of the four seniors on the Cross Country squad this season and has learned a lot over the past four years under Kruse’s guidance. 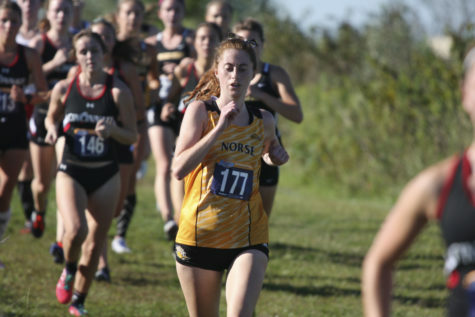 “I think Kruse’s program has allowed me to be the best runner I can be and I am thankful for that,” Holtkamp said. Kruse is amidst another Cross Country season, but his expectations for his athletes will continue to be raised.